This walk is ideal for exploring the multiple facets of the causse : rural architecture, wayside crosses, dry pastures, dry-stone walls, huts, dolmens and the vestiges of the Hôpital Beaulieu convent, founded in 1235 by a married couple of the Cardaillac- Thémines family. 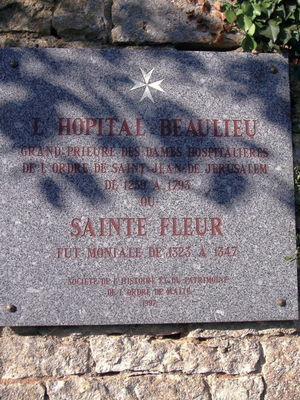 From the Middle Ages to the Revolution, the Hôpital Beaulieu convent played an important role as it was located on a well-frequented route (Pilgrimage to the Black Virgin of Rocamadour). 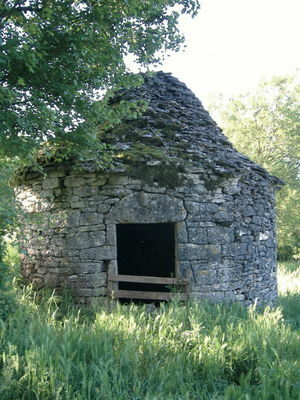 It was a place where the sick and destitute were cared for, but also a stopping-place for pilgrims and merchants. Destroyed in 1792, all that now remains of the Hôpital Beaulieu is a part of the chapter room which opened on to the cloister.